The department is headed by the Inspector-General of Registration who is assisted by a District Registrar for each district who supervises the registration work in the district. The District Collector functions as an ex-officio District Registrar. For each taluka there is a Sub-Registrar who performs the duties connected with the registration of documents. The Sub-Registrar at district head-quarters (who is designated as head-quarters Sub-Registrar) assists the Collector in his work as District Registrar. The District Registrar is vested with all the statutory powers under the Indian Registration Act. Joint District Registrar also works as the Collector of Stamps for that respective district. The Sub Registrar (SR) works under the (JDR) Joint District Registrar. Office of the Sub Registrar is the place where all the registration work is done. The District Registrar is required to carry out the instructions of the Inspector-General of Registration in all departmental matters. If he has any suggestions to make for the improvement of the registration system, he submits them to the Inspector-General. The District Registrar gives guidance to the Sub-Registrars in their day-to-day work. He visits the Sub-Registry Offices in his district at least once in every two years, and sends his memoranda of inspection to the Inspector-General. He hears appeals and applications referred to him under sections 72 and 73 of the Indian Registration Act, 1908, against refusals to register documents by the Sub-Registrars under him. Under sections 25 and 34 of the same Act, he is empowered to condone delays in presentation of documents and appearance of executants provided the delay does not exceed four months and to direct registration of the documents concerned on payments of a fine not exceeding ten times the proper registration fees. He is also competent to order refunds in cases of surcharges and to grant full or partial remission of the safe custody fees in suitable cases. A will or a codicil can be deposited with him in a sealed cover and it can be got registered at the cost of the party desiring it, after the death of the depositor. Click on the District to view addresses. Maharashtra. Pin Code - 414001. Maharashtra. Pin Code - 444001. Maharashtra. Pin Code - 444601. Maharashtra. Pin Code - 431001. Maharashtra. Pin Code - 441904. Maharashtra. Pin Code - 431122. Maharashtra. Pin Code - 444303. Maharashtra. Pin Code - 442401. District Dhule, Maharashtra. Pin Code - 424001. Maharashtra. Pin Code - 442605. District Jalgaon, Maharashtra. Pin Code - 425001. Maharashtra. Pin Code - 431203. District Kolhapur, Maharashtra. Pin Code - . Maharashtra. Pin Code - . Maharashtra. Pin Code - 400001. Maharashtra. Pin Code - 400051. District Nagpur, Maharashtra. Pin Code - 1. District Nashik, Maharashtra. Pin Code - 422011. District Osmanabad, Maharashtra. Pin Code - . District Thane, Maharashtra. Pin Code - . Pune City, District Pune, Maharashtra. Pin Code - . District Ratnagiri, Maharashtra. Pin Code -. District Sindhudurg, Maharashtra. Pin Code -. Maharashtra. Pin Code - 442001. Note : Offices work from Monday to Saturday, except the second and fourth Saturday and public holidays. 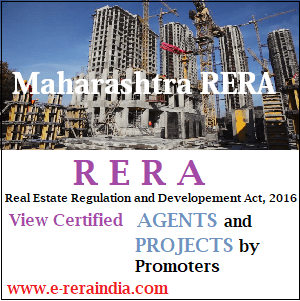 Above list of Joint District Registrar's Maharashtra etc. are for general information only.We have provided the Help Line Number of Registration and Stamp Department Maharashtra (Pune) if users needs further help from the department. We have explained in details how to calculate Market value of Property. Maharashtra State Government has provided various types of facilities to the public for the payment of Stamp Duty through various types of mode and has appointed Nationalized Banks, Schedule Banks, Private Banks and the Co-operative Banks which are authorized by Reserve Bank of India. With view that the facility of payment of stamp duty is made easily available to the public therefore different arrangements are in force. The Department of Registration and Stamp, Maharashtra State Government had appointed Authorised Service Providers to register Leave and License Agreement in Maharashtra. e-Registration of Leave and License Agreement. We have provided the Timeline Events of Registration and Stamp Department, Maharashtra State. Department of Registration and Stamps Timeline Events. Gift Stamp Duty, Registration and L.B.T. Crafted and Cared byTulja Bhavani Web Tec. This website does not own by Maharashtra Government. It is a Private Website, developed for Basic Information. Cross check all the information with concern offices.